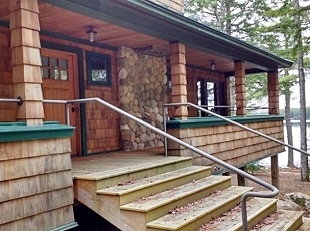 LakeHouse Design Build is a Maine-based design build firm serving the Camden and Rockport Maine areas. 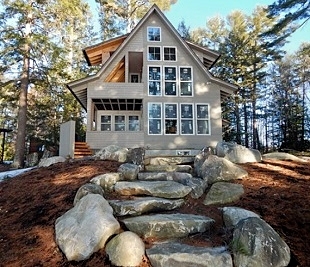 They design and build high quality custom homes, summer cottages and additions. Founder Bill Hudson has been working with wood and building for over 25 years. His career began refitting lobster boats and yachts along the coast of Maine, many years in Camden, where he developed a love of wood, pure design and an appreciation for the instinctive methods of shipwrights who understood beauty and function. 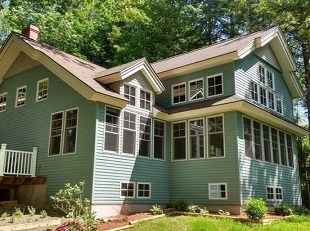 Today LakeHouse Design Build has built a reputation from Camden to the Belgrade Lakes, for inspired design and Bristol quality, with a client-focused ethically grounded commitment to provide exceptional service and products. Because we both design and build, we pay attention to the larger design picture as well as to day-to-day construction details, both of which are important to the ultimate success and cost of your project. Principal designer and on-site supervisor Bill Hudson will be with you from foundation to finish insuring that your project will be beautifully conceived, properly designed and extremely well-constructed to produce the perfect living spaces. These spaces incorporate the best of the latest technologies as well as traditional and contemporary building practices and materials. With a talented team of craftsmen, and the best subcontractors in the area, LakeHouse Design Build is committed to bringing you more than just a great home. Many people do not consider the acoustics of their home early enough when planning to build or renovate. At LakeHouse we believe in keeping sounds where they belong, whether it’s the utility room or the family room. We have time tested methods, learned from our experience in sound control design for yachts, and expertise in the field of residential and architectural acoustical sound management. Let us design your next project with effective, creative, cost-efficient solutions and products that will remove the “noise” from your life. 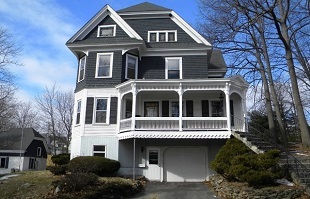 email: lakehousedesignbuild@gmail.com or call Bill at 207-242-3663.